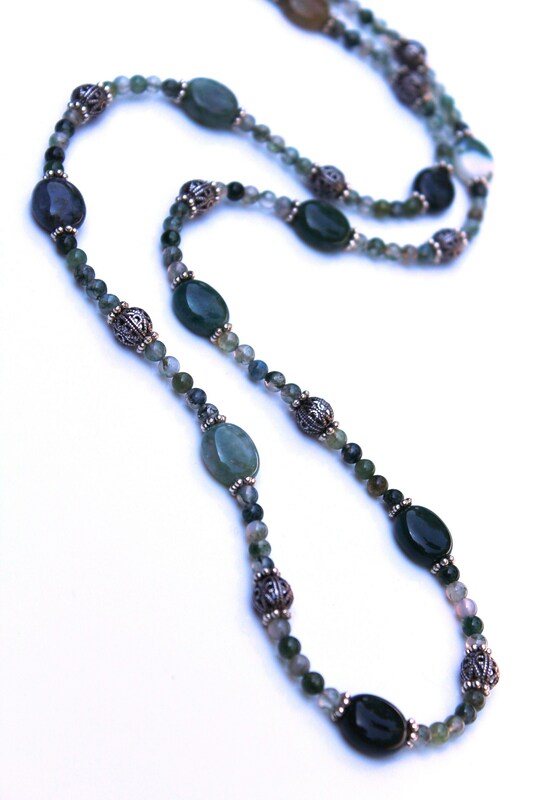 This beautiful long length necklace captures many tints of the moss green color. 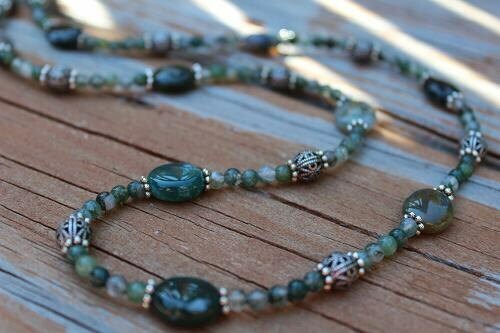 The agate ovals and rounds are separated with touches of silver, that truly enhance the detail found in each and every Moss Agate bead. 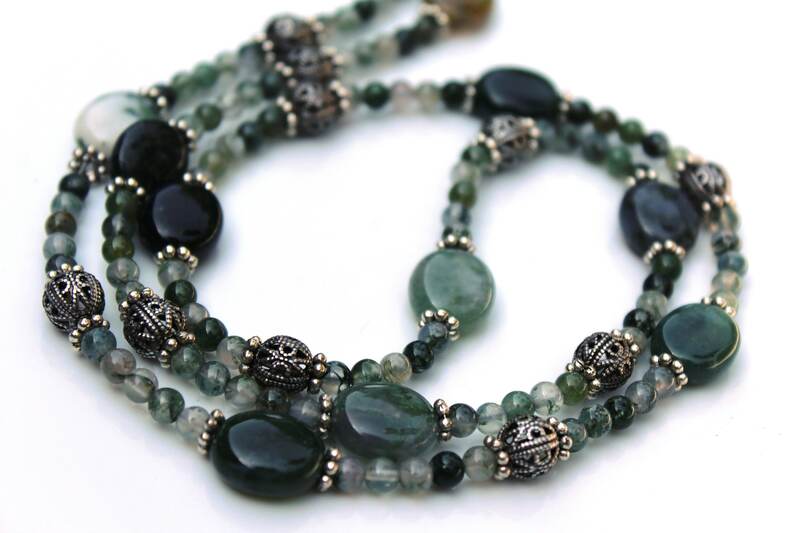 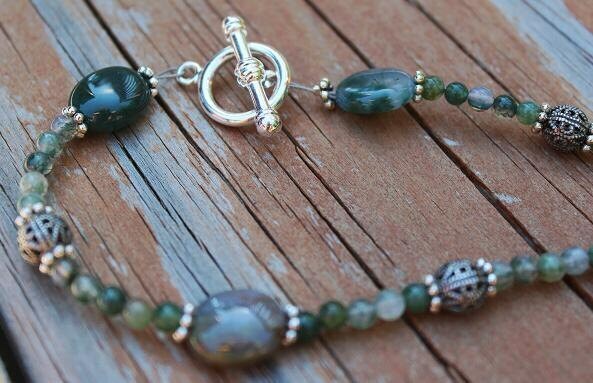 Moss Agate, is believed to help balance male/female energies whenever they become extreme. 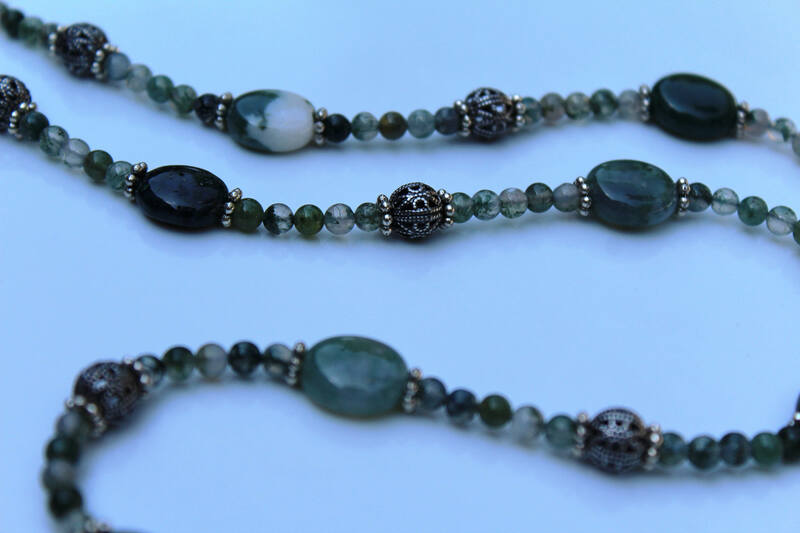 Bead colors/tones may vary from one necklace to another.